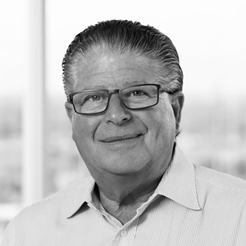 Bill’s significant experience in corporate finance, healthcare, energy, private equity, mergers, and acquisitions, as well as real estate and hospitality, brings a diverse and dynamic view to Conversant. In addition to acting as the Vice Chairman of the Board at Conversant, Bill is the founding partner of BoyarMiller, a Houston, Texas-based law firm. He is a practicing lawyer and has been involved in the ownership and management of law firms for 38 years. Bill built his successful law firm on culture first, and those values are evident in his impact and role at Conversant. These values include integrity, community, and balancing commitment to work and family. Bill believes that companies today struggle to reconcile the increased use of technology and the corresponding loss of human interaction in personal communication. That reality coupled with the increasingly more virtual workplace of today can often lead to a sense of disconnection and an urgent need to find solutions. Bill is passionately and relentlessly involved in community service. He served on the board of several organizations, including, KIPP Texas Public Schools (Board of Directors, Chair), KIPP Houston Public Schools (Executive Board of Directors, former Chair), and SEARCH Homeless Services (former Board Chair). In his spare time, you can find Bill on the golf course, often with his wife, Pam and two adult sons, Justin and Sam.